MogoBlog MogoLicious Tasty Tip of the Day: And while Mug Cakes make great single-serving treats, they can also be perfect desserts for dinner parties and holiday events. You can impress your family and friends with this simple, decadent dessert. Place the butter and chocolate in a large bowl. Microwave until melted, 60-90 seconds. Mix in the cocoa powder and vanilla extract and stir again until the smooth. Using a hand mixer or a hand whisk whip up the eggs and sugar in a bowl together until thick, roughly 3-4 minutes. It takes a bit of elbow grease by hand. Pour the egg sugar mixture into the melted chocolate and butter and mix until smooth. Add in your chocolate chips on top and push them into the cake. This will give you your ‘lava’ center. If you don’t want to cook them off straight away then place them in the fridge for up to 24 hours 6. Microwave 1 at a time for 45-60 seconds. Take care not to overcook as it will dry out your lava cake. (Timing is based on my 1200W microwave so your timing might vary). Cook one at a time so they each cook evenly. 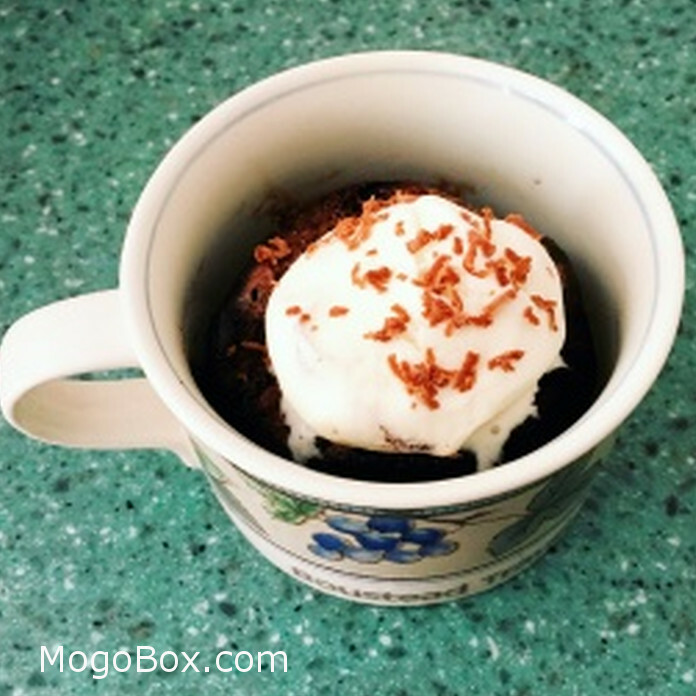 This entry was posted in MogoBlog, MogoLicious and tagged #MogoBlog, Chocolate Cake, MogoBox, MogoLicious, Molten Cake, Mug Cake.